This is what we know so far: nothing! These pics are from the US NTSC NEO cart system. If you've got a PAL system, have a look and let us know what's different. Christian	Metzler has let us know that there are at least two versions of the NEO hardware. One, shown here, apparently has better quality RGB output and metal shielding on the top half of the unit. It's also got a sub-board (Brown bit, lower right corner) where the other unit did not. 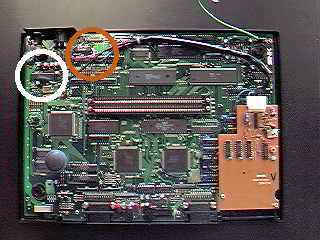 This unit is not readily marked, but the other board apparently has an NTSC/PAL jumper near the cartridge port. The white indicates the first pic, and the orange indicates the second. 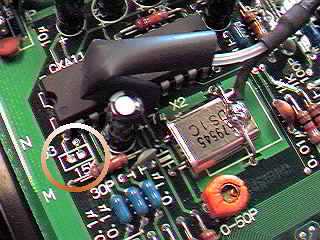 This pic shows a jumper (highlighted) which is NOT shorted on the NTSC version. 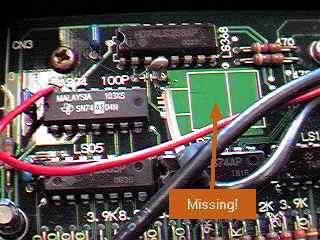 There is a missing crystal here, and wires leading to a sub-board in the bottom right corner of the mainboard. It's probably a different/more accurate clock?